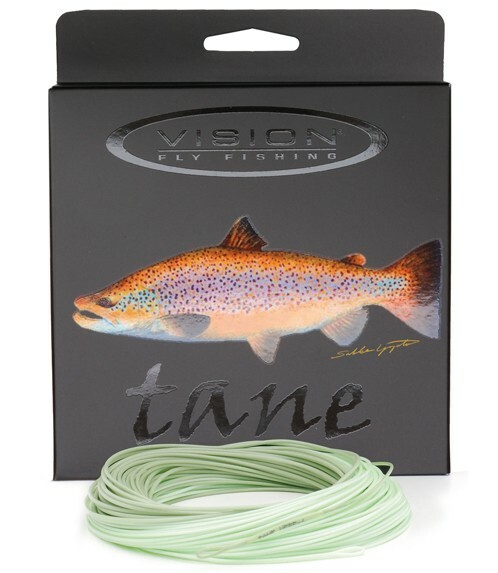 Tane fly line is available both as a traditional weight forward (WF) line with a 11m head and as a double taper (DT) line. The new coating used in this line is the result of long and extensive testing in Finland and beyond. This slightly thinner than normal WF line has a carefully designed taper that suits most fishing situations giving you nice presentation whether you are overhead casting or spey casting. Tane has a core with a 22% stretch for those delicate situations where thin tippets are needed. Both WF and DT lines have loops on both ends of the line. Total length 30m. Color light olive / mint green.